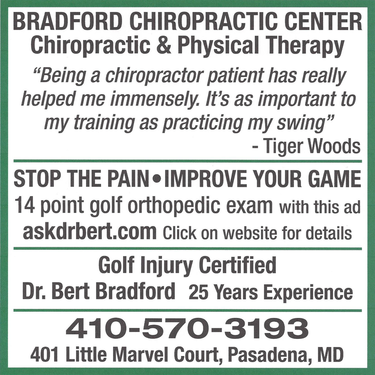 This ad from Compass Point Scorecard allows you to receive a complete golf specific orthopedic exam. All joints involved in the golf swing, all spinal joints, and the fourteen major muscles of golf. Please click here for more details on why it is so important to your swing and health to have this exam. The only restrictions on this offer are no one with Federal Health Insurance may use the offer as it is prohibited by Federal law. Medicare and Federal BC/BS do not allow the use of a coupon for free services. This does not mean you can not come in, just that no service may be discounted. I am a participating provider with both Medicare and Blue Cross Blue Shield.